The HiTemp150-PT-TSK is a kit that includes a HiTemp150-PT temperature data logger enclosed in a thermal shield. This durable system can withstand temperatures up to 250°C. The thermal shield can be easily removed from the HiTemp150-PT, so it may be used as a standalone data logger also. Installing the data logger back into the thermal shield is simple, just open the enclosure, thread the probe through the end cap and fasten the thermal barrier together. The HiTemp150-PT-TSK is submersible and has a 24” flexible, stainless steel probe. 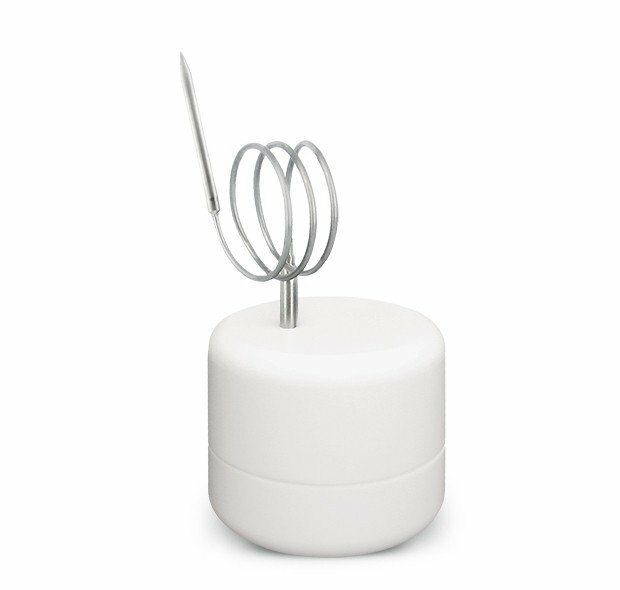 The probe is durable and can be spiraled, bent or angled in any direction, making it easy to log temperatures within bottles, vials or other hard to reach places. The device can be started and stopped directly from a computer and the HiTemp150-PT-TSK’s compact design and ultra flexible probe allows it to fit almost anywhere. The MadgeTech software allows users to view the data in graph and summary views and print professional reports.